According to Nintendoeverything, Miitomo is the most downloaded game right now on the iOS and tops the games section on App Store in US. Also, reports say that the game could beat 200 000 downloads during its first 24 hours. 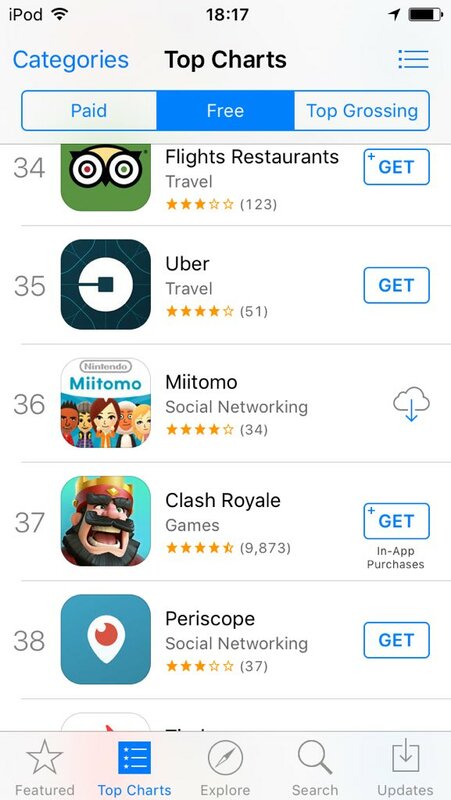 There is no word on the Android version, but in the UK’s App Store, Miitomo was number 36 on free games on March, 31. 50NerdsofGrey is a twitter account that makes parody of the book and movie 50 Shades of Grey by tweeting nerdy jokes with a touch of erotica. Make sure you follow or add to your lists 50NerdsofGrey ! 'Come over,' she begged. 'I need you right now!' 'Just turn it off and on again,' he sighed. He hated these late night rebooty calls. Despite his innocent asthmatic public image, he was a real snake in the bedroom. Hufflepuff in the streets, Slytherin in the sheets . . . According to TwitterData the emojis above are the most used on the social media platform this year. No 1 was used 6.6 billion times (!). Instasize is an app available for iOS, Android and Windows Phone. I use it on my Samsung Galaxy S5 all the time, and it allows me to resize the photos I wanna share so they fit for Instagram. As you might already know, Instagram doesn’t allow to share photos bigger than a certain resolution. But InstaSize fits your picture to be uploaded. The app can be used to upload pictures on other social media services as well, like Twitter or Facebook. Available now on AppStore, Google Play and Windows Store.